The overall aim of the project is to contribute to lowering HIV rates among AUD and their sexual partners by improving access to quality HIV prevention, treatment and support services in urban and rural areas in Ukraine. Improve access for 8,100 adolescents who use drugs and their sexual partners by introducing innovative youth-friendly outreach models. Build capacity of nine CBOs to extend and deliver quality services to AUD and their sexual partners. 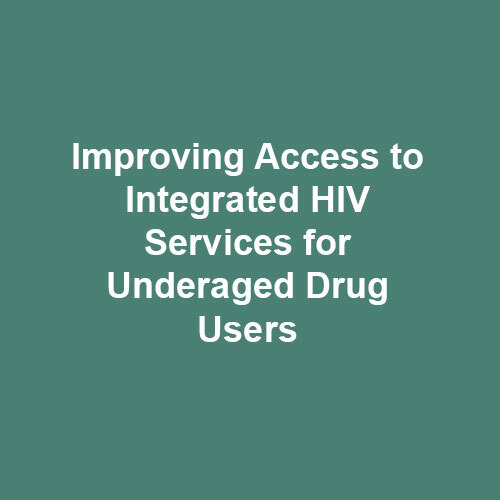 Create an enabling and protective environment by improving current policies and regulations to address structural barriers to AUD access to HIV prevention, treatment and support services. Project regions: Donetsk region, Kyrovograd region, Kyiv region, Odesa region, Poltava region, Kharkiv region, Chernivtsy region. Project duration: October 1, 2017 – September 30, 2020.